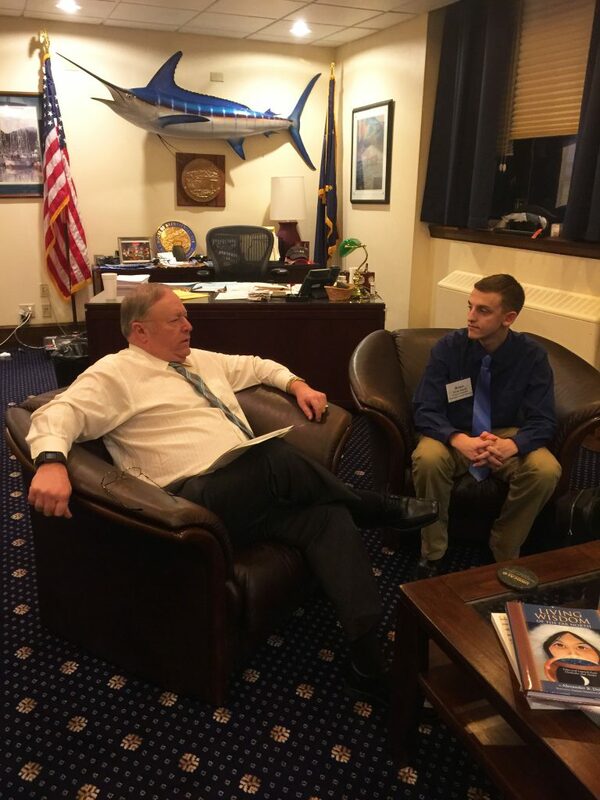 KPBSD Board of Education student representative Brian Dusek talks with Speaker of the House, Mike Chenault, about a letter Soldotna High School students wrote to Alaska legislators about the budget and what the value of public education means to them. On anything but a normal Monday in Juneau, when HCR 23 “Suspend Uniform Rules 20, 21, 23, 24” made fast tracks to pass through the House of Representatives, “restricting committee meetings of the Alaska House of Representatives to measures that substantially relate to and have as their primary purpose appropriating, raising, or allocating state revenue, until the Alaska House of Representatives passes a state operating budget to the Alaska Senate,” Speaker of the House Mike Chenault (and District 29 representative) met with one of his young constituents, a high school student from Soldotna, Alaska. 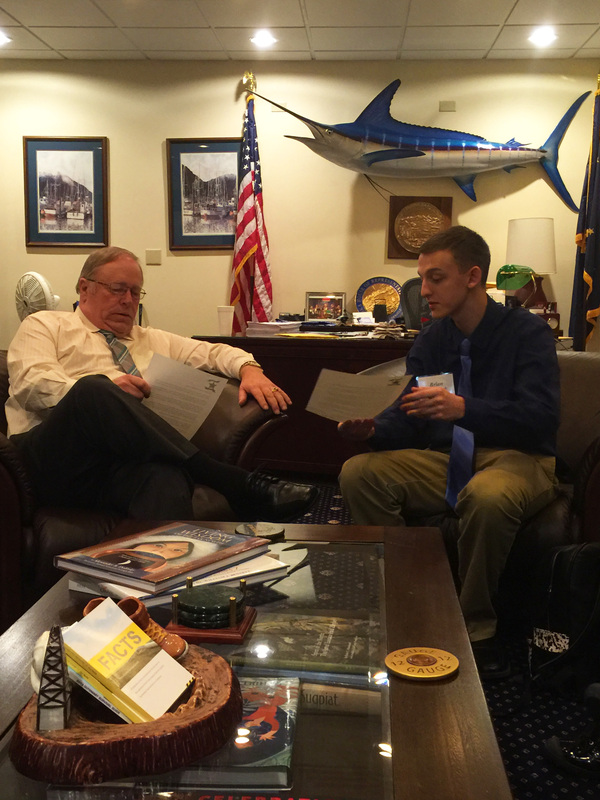 In Juneau for a school board legislative fly-in with board member Lynn Hohl, the student school board representative, Brian Dusek, shared a letter that Soldotna High School students wrote to Alaska legislators. Speaker Chenault said, “I hope we are on the right track, we are going to work on the budget, try to focus on the budget, and come up with a remedy for the budget. We’ll look at revenue streams, we’ll look at reducing the budget where we can. I think it’s important for the people in my community to weigh in, any opportunity that they get—either weigh in on the budget preference or revenue enhancements. 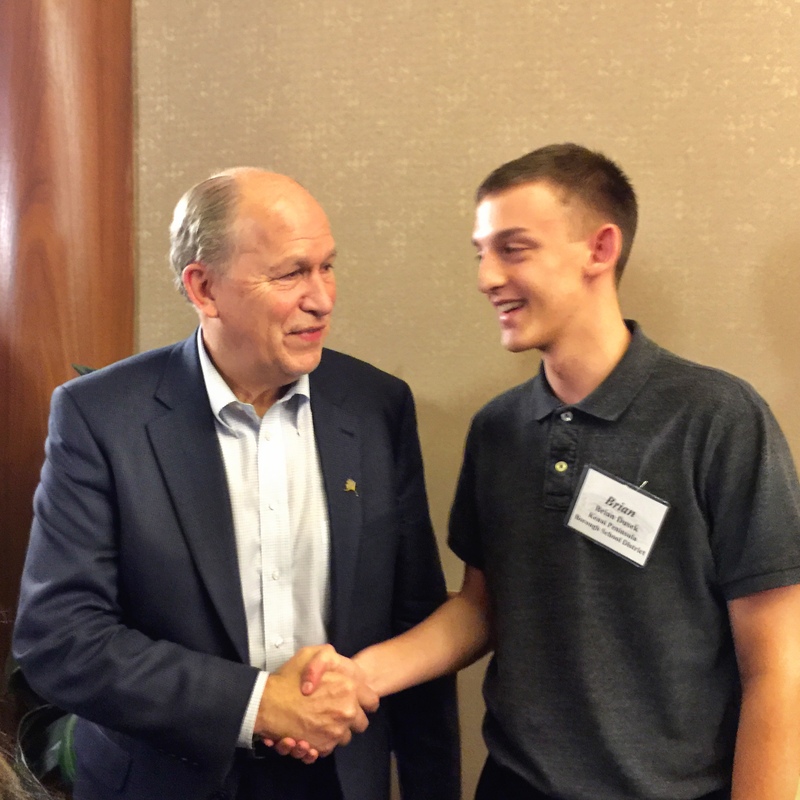 And, while I don’t know how that is going to turn out yet, it will take some combination of both of those in order to come up with a sustainable budget that will move Alaska forward and help my community. 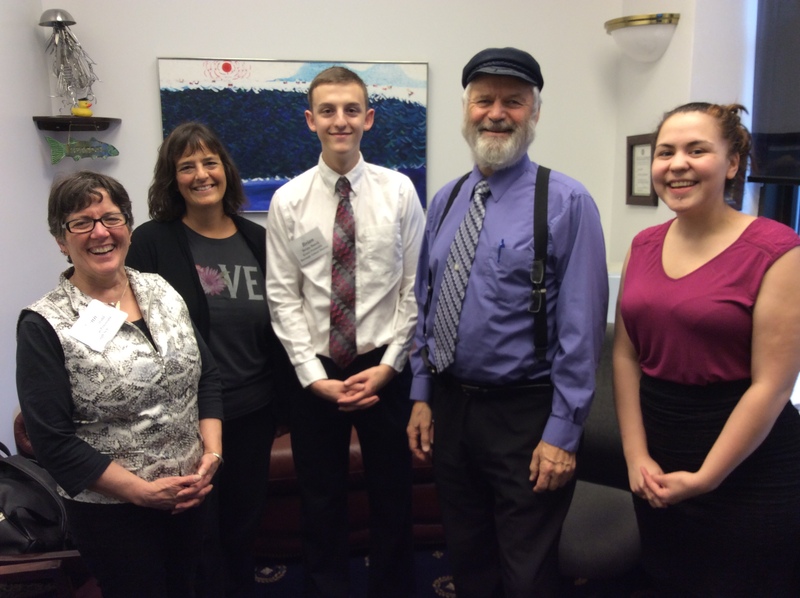 So that’s where we will be and what we will work on for the next three weeks, and see if we can get a budget passed.” Alaska residents are asked to weigh in with their ideas to The House Majority “Idea Line” 1-844-414-5949 to help solve the State’s budget crunch. The Legislature and KPBSD webpage offers helpful links, copies of legislator communications, KPBSD legislative priorities, LIO office locations, and more. This page is updated throughout the legislative session. Parents, staff, students, business partners, community members, and elected officials, are invited to bring your questions and ideas to a KPBSD public meeting, where you will learn about the district budget perspective, expenditures, revenues, and receive responses to your questions. Tuesday, February 16, 2016, Seward High School library, 5:30 p.m.
Wednesday, February 17, 2016, Soldotna High School library, 5:30 p.m.
Tuesday, February 23, 2016, Homer High School library, 5:30 p.m.
New! Alaska residents are asked to weigh in with their ideas to The House Majority “Idea Line” 1-844-414-5949 to help solve the State’s budget crunch. This entry was posted on February 9, 2016 at 5:36 pm. You can follow any responses to this entry through the RSS 2.0 feed. You can skip to the end and leave a response. Pinging is currently not allowed.